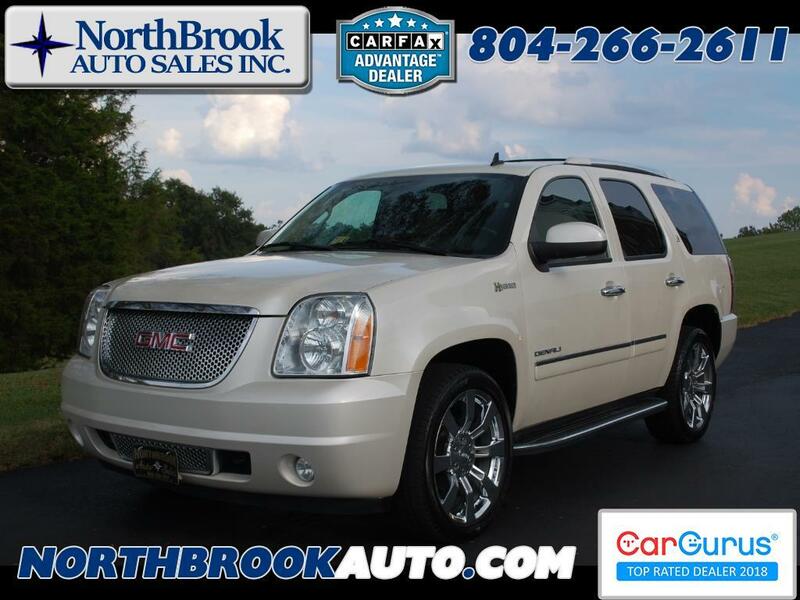 Used 2012 GMC Yukon Hybrid 4WD 4dr Denali for Sale in Richmond VA 23060 NorthBrook Auto Sales Inc.
Instrumentation- analog with speedometer- odometer with trip odometer- fuel level- fuel efficiency gauge- engine temperature- oil pressure and tachometer with autostop. Warranty Description: We offer a limited warranty by us, through us at 100% our cost parts and labor on the Internal Engine, Transmission, Brakes, Differentials/Transfer Case, Power Windows/Locks/Mirrors, and A/C Refrigerant only. Message: Thought you might be interested in this 2012 GMC Yukon Hybrid.